In September of 2018, the ‪Birmingham Civil Rights Institute selected Angela Davis to receive the Fred Shuttlesworth Human Rights Award at its annual gala in February. That decision has now been changed and the event has been cancelled. Dr. Davis believes her support of Palestinian rights prompted the decision. The National Equity Research Database (NERD) will be able to show poverty rate data by rate for specific neighborhoods. Preliminary data for the Boston area has been analyzed by researchers at Brandeis University showing the Black poverty rate is as high as nine times the rate for Whites. Appointed to new posts are Edrel Stoneham at Victoria College in Texas, Aisha Haynes at the University of South Carolina, Patricia Pierce Ramsey of Lincoln University in Pennsylvania, Alonda Thomas at Howard University in Washington, D.C., and Allyson Livingstone at Brandeis University in Waltham, Massachusetts. June Gary Hopps is the Thomas M. “Jim” Parham Professor of Family and Children Studies in the School of Social Work at the University of Georgia. Earlier she was dean of the Boston College School of Social Work. The Partnership for Research and Education in Materials (PREM) will include a 10-week summer program for Hampton undergraduate students. These students will participate in research projects with scientists at Brandeis. Taking on new duties are David H. Jackson at Florida A&M University. Belinda Archibong at Barnard College, Derron O. Wallace at Brandeis University, Christena Cleveland at Duke Divinity School, and Zella Palmer at Dillard University. Gregory Childs and Jasmine Johnson are new assistant professors at Brandeis University in Waltham, Massachusetts, and Derron Wallace was appointed the Florence Levy Kay Fellow in education and African and Afro-American studies. Ali is a Somalian-born women’s rights activist who once held a seat in the Dutch parliament. Some faculty and students at Brandeis objected to her past statements about Islam. David H. Jackson, a professor at Florida A&M University won an award from the American Historical Association and Angela Glover Blackwell was honored by Brandeis University. The university, where only 4 percent of the undergraduate student body is Black, has announced that it will hire two faculty members in African diaspora studies in the first phase of a multi-year cluster hire in the discipline. 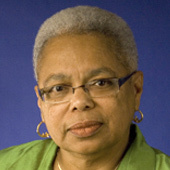 Patricia Hill Collins, a Distinguished University Professor of Sociology at the University of Maryland at College Park, has been selected to receive the Joseph B. and Toby Gittler Prize from Brandeis University for outstanding scholarly contributions in the field of racial, ethnic, and religious relations. The racial wealth gap has tremendous consequences in the ability of African Americans to afford higher education. The report finds that in 2009 the median net worth of White households was $265,000. For Black households, the figure was $28,500.